It has rained every single damn day this week. Which, really, is just what I need less than two weeks removed from a breakup. Good job, universe! Oh well, May’s upon us. There’s no way it won’t improve upon April from a lifeical standpoint, but it may also do so from a metallic perspective as well. Quite a bit to look forward to over the next 25 days. I need to start getting ready to get drunk, so I’ll keep this short and sweet. A bit of a slow day, but let’s start with upcoming album news. Swallow the Sun has been hard at work and is set to release a triple album in November. Triple. That’s ambitious. Wasting no time after Soulfly’s latest album, Max Cavalera and the rest of the gang in Killer Be Killed are set to start work on a new album. This guy has been working tirelessly for a number of years. How come I don’t really care? It won’t be long now until The Ride Majestic finally drops. 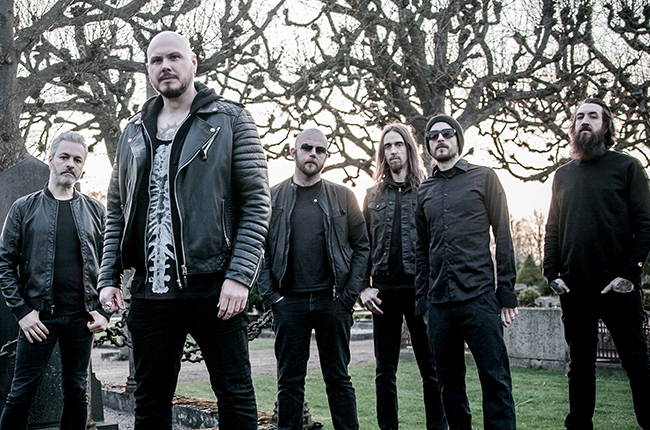 In the meantime, Soilwork are streaming one of the new tracks from their shiny new album. The song is called “Enemies in Fidelity” and it’s wildly… fine. Today would have been Dimebag Darrell‘s 49th birthday. So let’s honor that with Pantera’s classic “5 Minutes Alone”. Alright, now chill out to this new So Hideous track called “Yesteryear”. Isn’t that something? I sure think so. Anyway, that’s enough outta me until tomorrow.